Discover the history of humanity from prehistoric times to the fall of the Roman Empire. 2000 authentic objects bear witness to their times. You will be afforded an insight by films, lifelike figures and beautiful models. Enjoy fantastic activities with your children. The fine museum café and shop await you with a wide range of history books. 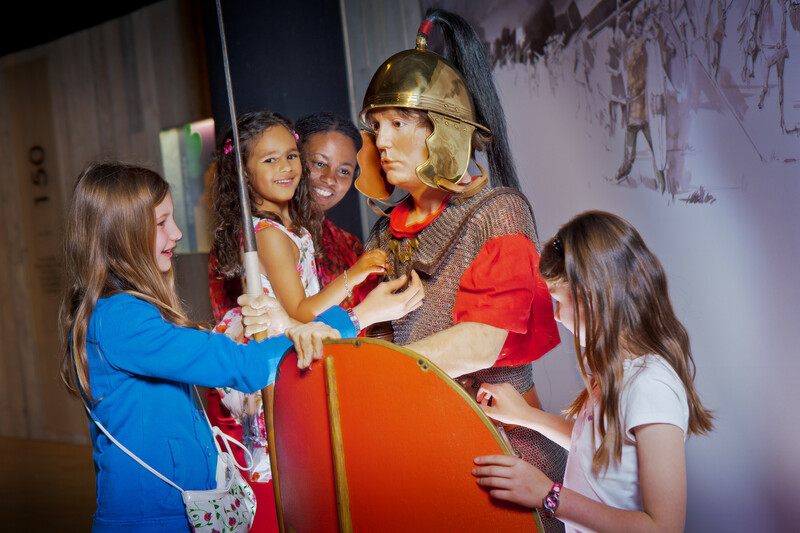 In short, you can spend in the Gallo-Roman Museum some exciting time with the whole family. 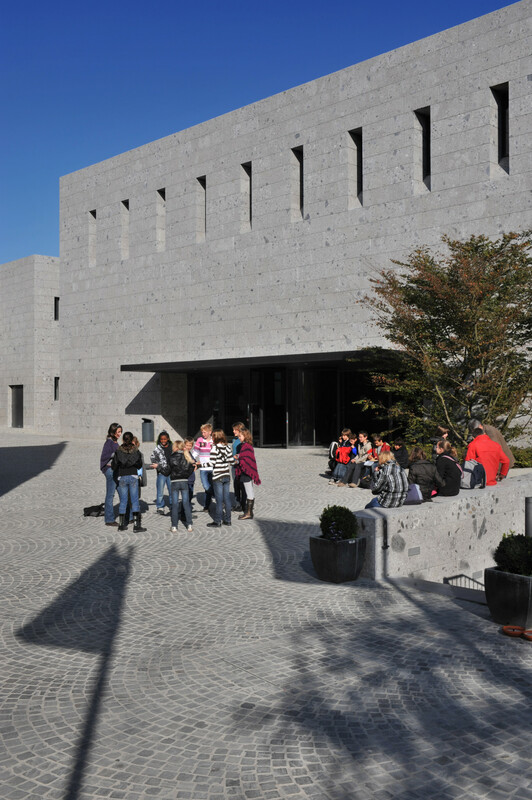 The Regional Archaeological Museum sets your imagination loose. When you walk through the magnificent 17th century doorframe you begin a journey through time. Archaeology takes over. It's a chance to immerse yourself in the often-surprising history of the people of Maasland and Maaseik. Did they know the same fauna and flora as we do now? How did they dress, what did they eat, what tools did they use? You'll find an answer to al these questions. In 'Object in the spotlight' Musea Maaseik wishes to draw attention to objects in their collection that especially appeal to visitors. The oldest Bosbeek mill sits in the shadow of St Lambertus church. This grain mill was first put into operation as early as 1330.The timber and loam structure made way for the existing building in 1859. The miller is eager to tell you - and show you - how the grain is ground into flour. Studio Pieter Stockmans was set up in 1987 to provide a place for craft production for porcelain in limited series using special techniques, and to make room for experiment. The Studio stands for group work or, rather, collaboration. Because Stockmans’ daughter Widukind is also actively involved. Since 1997 she has been head of the Studio. Stockmans designs installations, interior objects and exclusive tableware for toprestaurants. In his lifetime, Pieter Bruegel the Elder painted 41 paintings that are all quite diverse as regards subject and style: peasant scenes and bustling village squares, as well as biblical representations and paintings of war and hell. The originals can be found in museums and collections all over the world. But at the Bruegel House in Peer, you can take in Bruegel's entire body of work in one location: this is unique in the world! A surprising short film examines whether the painter was really born in Peer. The film takes a closer look at Bruegel's entire body of work in an original manner and links it to the city of Peer today. You can visit this exhibition individually with an audio guide (in Dutch, English, French and German), which tells you more about Bruegel's various works in a lively and original manner. If you are visiting the Bruegel House as a family then we have put together a rally that will take you on a search expedition through the centre, with fun activities for children. The carnival museum shows the history of the carnival in Maasmechelen again. The scope and variety of this collection is reflected in the displayed attributes, pictures, posters, pictures and beautiful costumes.